After a drama that has been going on for months about the malfunctioned Chinese space station Tiangong-1, the space laboratory has finally fallen back to Earth. Although most of it was burned up as it entered Earth’s atmosphere, the remains fell into the Pacific Ocean on the evening of April 1. 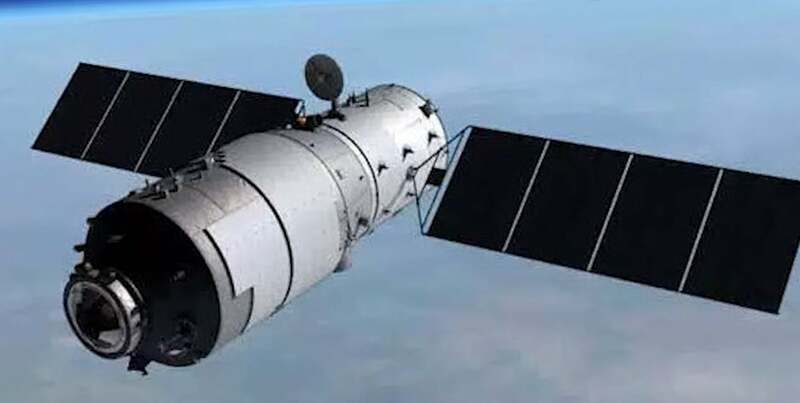 The news regarding the Chinese space station falling back to Earth was reported from China’s Manned Space (CMS) website as per the Chinese media outlet Xinhua. The site is a part of the Chinese government’s space agency. The report states that no injuries were reported after the laboratory crashed into the South Pacific Ocean. It’s worth mentioning that the laboratory is the size of a bus. According to the JFSCC, in order to monitor the malfunctioned Chinese space station, they used the Space Surveillance Network sensors followed by their orbital analysis system so that they could confirm the time at which the space station would reenter the atmosphere. They also used data which was provided by their counterparts in Australia, Japan, South Korea, Canada, France, Germany, Italy, and the U.K.
Jonathan McDowell, an astronomer at the Harvard-Smithsonian Center for Astrophysics, shared an image on Twitter of a modeled location of where the station was thought to have come down. According to the image, the space lab is located about 2,500 miles south of Hawaii while it is 2,800 miles north-east of Auckland, New Zealand. He mentions in his tweet, that the falling station has missed the “spacecraft graveyard,” the place where most satellites that stopped working have fallen. “NW of Tahiti — it managed to miss the ‘spacecraft graveyard’ which is further south!” McDowell wrote in the tweet. The chances of the space station falling on an area that is widely populated is always small. Also, previous reports indicated that any part of the station that would survive being burned up in the atmosphere would have landed in the sea, which it did. However, waiting to receive information that all pieces of the space lab had missed land and fallen into the sea was quite difficult, especially because there are tens of thousands of tiny islands around the South Pacific. The Tiangong-1 means “Heavenly Palace” as translated. It was 32 feet long and it weighed 8.75 tons. The Chinese launched it in 2011. However, they lost contact with the spacecraft 5 years later. It was long anticipated that the malfunctioned Chinese space station would meet its demise. Following his first tweet McDowell added another tweet suggesting that predictions on how some events would occur can’t always be made precisely. “Lessons you should take away: 1) Science isn’t about predicting things precisely. It’s about knowing how big your uncertainty is. 2). The Pacific Ocean is big. Always bet on the Pacific,” he tweeted.